In a historic first, a poll published on Monday by German newspaper Bild put the anti-immigrant, Alternative for Germany (AfD) party at 16%, showing that they are currently the second most popular political organization in Germany and more popular than Germany's Social Democrats (SPD), Merkel's "Grand Coalition" allies. 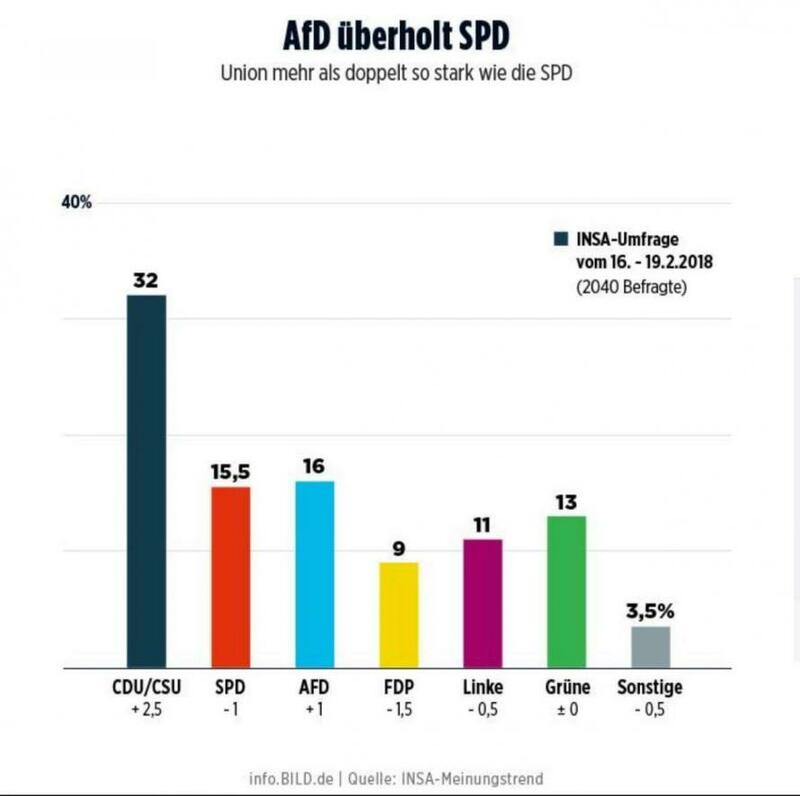 The poll, conducted by INSA put the AfD on 16%, just ahead of the SPD on 15.5%. The poll marks the lowest support ever achieved by the SPD, traditionally one of the two major parties of German politics. The popularity of the right-wing AfD has been creeping up in recent weeks, with polls consistently putting them on 14% or above. They entered the Bundestag for the first time in September after winning 12.6% of the vote. The party was set up in 2013 and fought the election of that year on an anti-Euro platform, but failed to make it over the five percent hurdle needed to make it into parliament. Last year they ran a campaign fiercely critical of the government's refugee policy, which had led to over a million people applying for asylum in Germany since 2015. 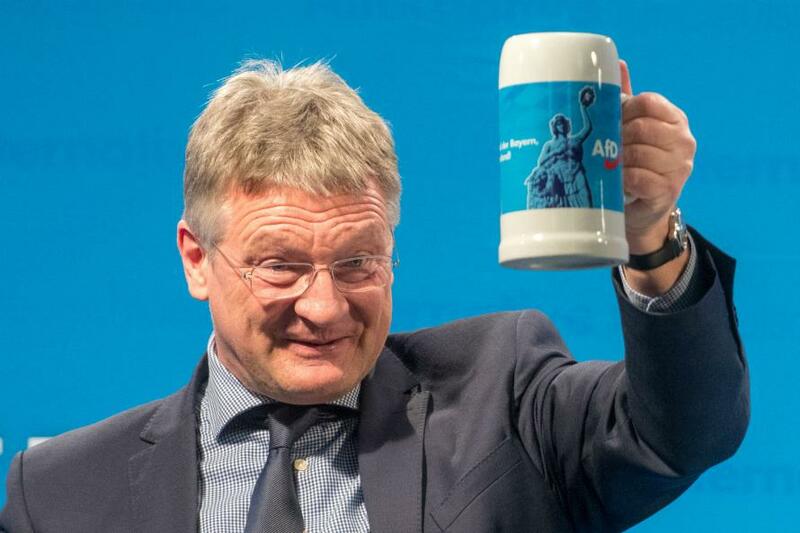 According to The Local, the leadership of the AfD rejects the label of "far-right", preferring to describe themselves as conservative. However, they remain highly controversial due to various statements by senior party members which have challenged a political consensus concerning how Germany treats its Nazi past. On the other hand the popularity of the SPD has plummeted as they look set to join a third grand coalition with Merkel as a junior partner. Germany‘s oldest party - around the late 19th century - scored their worst post-war result in 2017 at 20.5% and have only seen their support crumble since then.